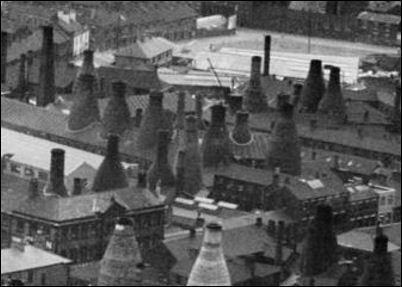 They were one of the largest pottery firms in Longton in the middle of the 19th century with 348 employees. 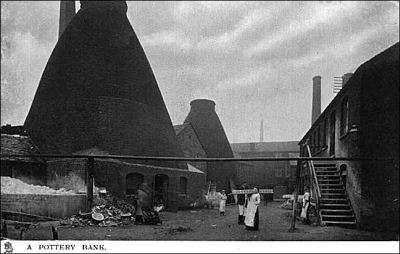 The partners were Charles Allerton, Benjamin Singleton Brough and William Green. 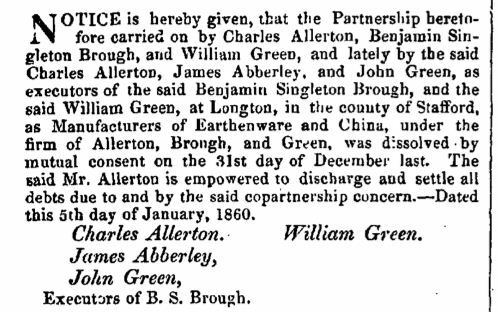 William Green was a partner in the pottery firm of Allerton, Brough and Green c.1832 to 1857.